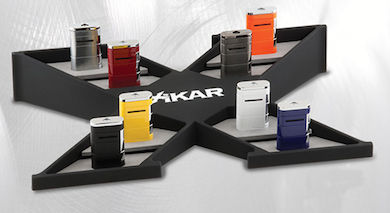 Function meets style with XIKAR Cigar Cutters and Lighters. Committed to providing customers extraordinary value through artful design, XIKAR offers unique accessories with superior feel, form, and function. They “walk the talk” by backing all their products with an incredible lifetime satisfaction warranty. The company name was inspired by the word sikar, the original Spanish spelling for the Taino word cigar. The Taino were the indigenous people that populated Cuba and Hispaniola, the location where Christopher Columbus landed while discovering the New World and the tobacco of that region. XIKAR changed the S in the original word to represent two blades with the letter X. The X cutting the letter i is symbolic of the cutters clipping the tips off of cigars. 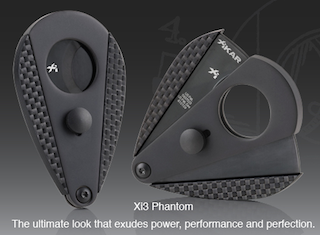 When the original XIKAR cutter was released, it created a paradigm shift that changed an industry. Up until that point, there were several different cutters and designs being used, none of which provided the flawless and consistent cut that XIKAR provided. When Kurt Van Keppel was interested in finding a high quality cigar cutter back in 1994, he found the majority of the high-end cutters were in fact under-performing and providing inferior results. He decided with his friend Scott Almsberger, to develop a superior cutter that incorporated style, functionality, and high quality materials. Together they started work on their design in 1996. Six months later they released the Xi Cutter, with the first 200 manufactured all by hand in their garage in 1997. These numbered prototypes were sold through mail order as well as door to door sales. The original design for that early Xi Cutter incorporated a leverage point near the top, pivot point near the bottom, and could easily drop the cap end of the cigar into the palm of your hand. Once they attended their first RTDA (better known today as the IPCPR) show in 1998, they were met with an overwhelming amount of support. The company that started in a garage was on it’s way with mass production of the Xi Cutter starting in 1998. Scott and Kurt decided in 2000 to start expanding the product line, developing a folding cutter that could fit into your pocket easily. That market was tough to break into, but they aggressively introduced their new cutters at the Blade Show and gained valuable insight from a variety of custom knife manufacturers. In 2001, XIKAR released their first design, and the following year brought their full scale production knives, the 138 Excel, 158 Excursion, and 118 Elan, to the market. In 2004 the retailers who carried the XIKAR cutters pleaded they develop a line of lighters too. Scott and Kurt began working on lighters that had the same quality and provided lifetime warranties on the pieces. The end result was the XIKAR lighter, both functional and sleek, performing flawlessly when needed. In 2008, the XIKAR corporation bought Madelaine and began introducing unique humidification systems for many humidors. The XIKAR company today is no longer described as just a cigar cutter manufacturer, they are a superior cigar accessories company.